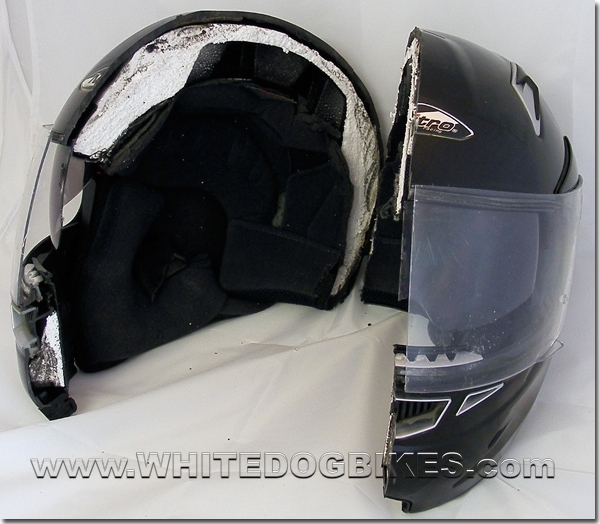 Have you ever wondered what protects your head and what goes on inside a motorcycle helmet? Is my motorbike helmet road legal in the UK? “Sussex Police are warning motorbike riders to be aware of pedal cycle helmets being mis-sold via on-line auction sites as motorcycle helmets. What is the Nitro Micrometric Buckle and Helmet Strap? 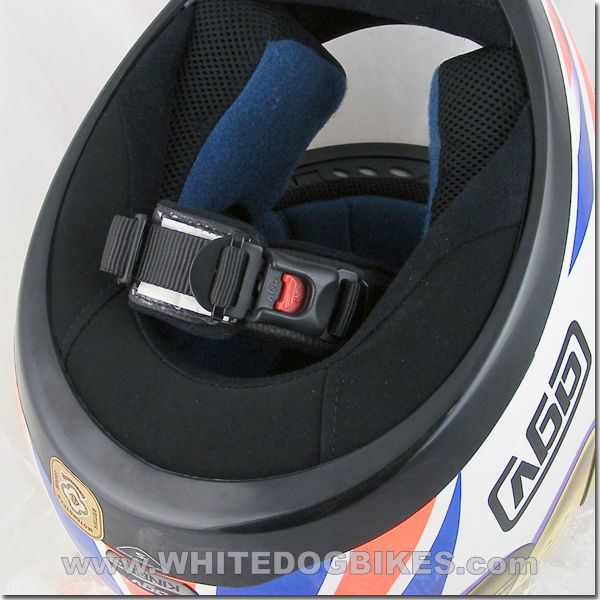 The Micro-Metric strap retention system is a feature on many new Gmac and Nitro motorbike helmets. The Micrometric strap works like a large, reusable cable tie with a toothed strap and a ratchet holding mechanism. As well as being a very safe and secure system for holding the motorcycle helmet on your head the micro metric buckle can be done up and undone without taking your motorbike gloves off (unlike the conventional ‘Double D’ and ‘Seatbelt buckle’ strap systems that you need to take your gloves off to undo!). 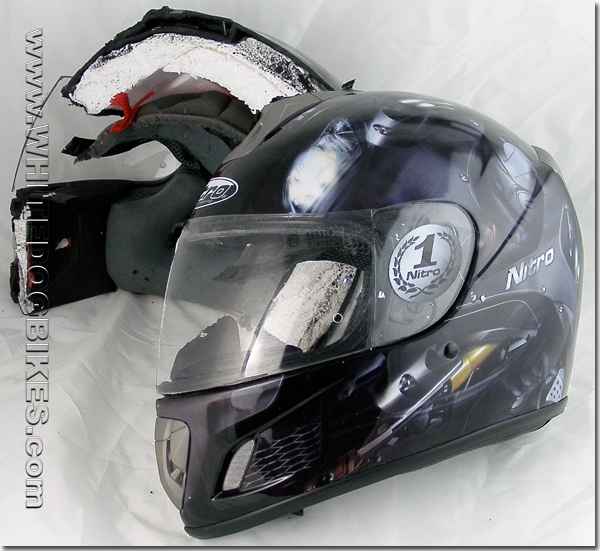 Inside a Flip Front Motorcycle Helmet….. Ever wondered what protects your head when your wearing a motorbike helmet?